Explicit Direct Instruction (EDI) is our research-based, classroom-tested approach to teaching powerful lessons with a high degree of interaction between teacher and students. The strategies for effective lesson design and engaging lesson delivery are described in these books in a very easy-to-read, down-to-earth style with plenty of examples and photos. Explicit Direct Instruction: The Power of the Well-Crafted, Well-Taught Lesson, 2nd edition, (2017) with bonus Study Guide for your faculty meetings. Explicit Direct Instruction: The Power of the Well-Crafted, Well-Taught Lesson, 1st edition, (2009) with bonus Study Guide for your faculty meetings. 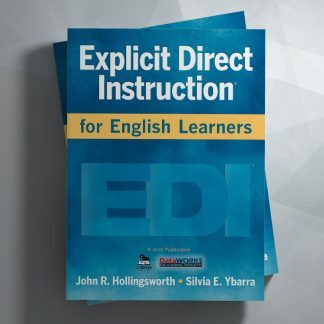 Explicit Direct Instruction for English Learners (2013) with 50 strategies for helping English Learners learn new content and learn English within the context of an effective lesson. 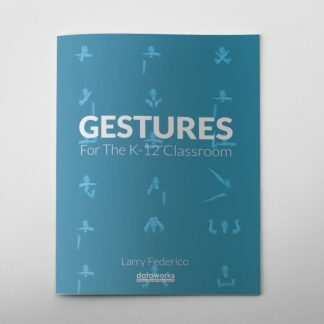 Gestures for the K-12 Classroom (2017) by Larry Federico. Features more than 70 gestures to help students remember concepts for ELA, Math, and Academic Language. Includes nearly 200 photos demonstrating the gestures.